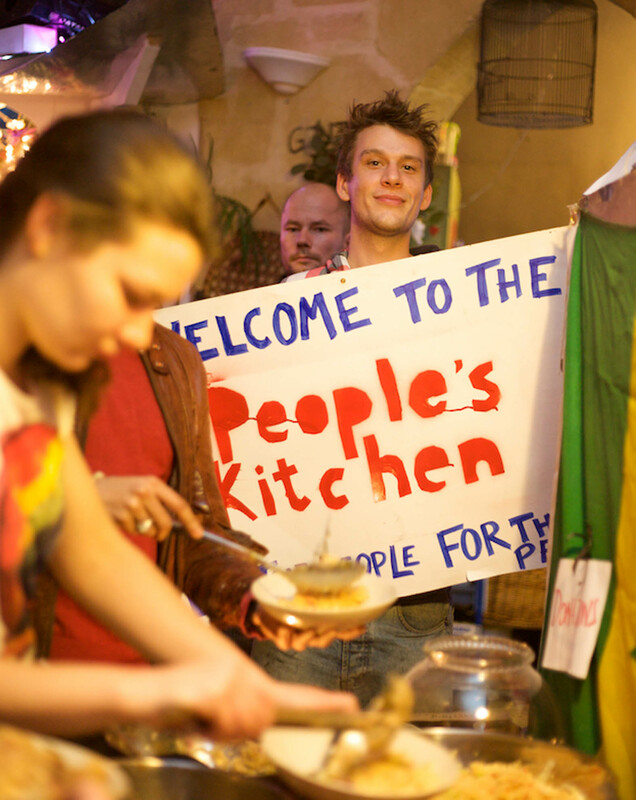 My cousin has started a fantastic food waste project in East London – the People’s Kitchen! Collecting left over food from local supermarkets (currently The Grocery and Lidl) and people’s homes, Steve creates a menu each week and gathers volunteers to help cook the food. Anyone is welcome to come along and ‘dine for a donation’, enjoy a fun evening, meet people and help prevent food being wasted. With a passion for social innovation and preventing food waste, Steve and I entered the Awesome Foundation to win £1000. It’s such a fantastic idea; 10 creatives in London have come together to give £100 each a month for someone to do something ‘Awesome’ in London. Up against tough competition (‘to be loved again‘, ‘desert machine’ and children’s books aimed at adults) on 19th January, we won…. and what a great feeling it was! £1000 may seem like a small amount of money but it means the People’s Kitchen can buy some proper equipment which won’t only allow the menu to be more varied but will mean Steve can train up more volunteers to come and help.